I kid you not, this is actually a great way to rough out a plan for a loop. 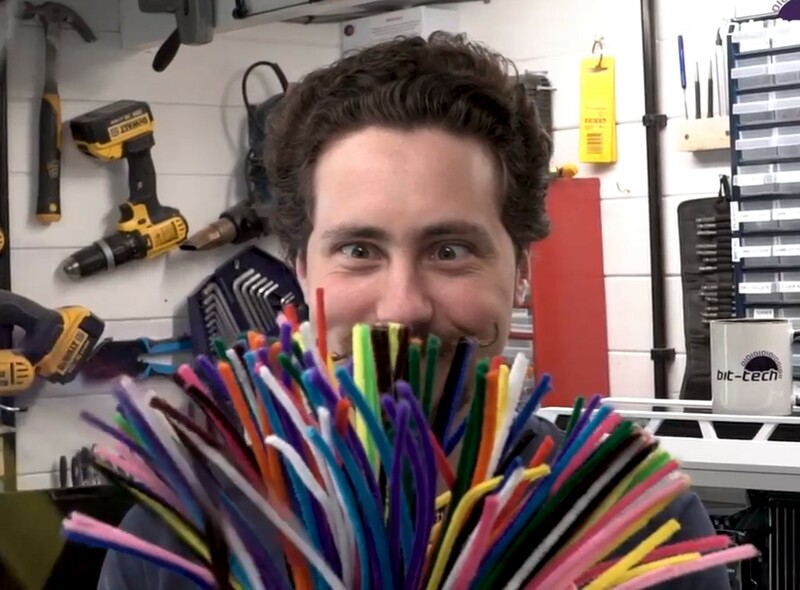 Pipe cleaners are a classic technique that works rather well; they're cheap, readily available, easily pliable, and often supremely fluffy. The key to pipe cleaners is that they're designed to hold their shape. They're also easy to join together for longer and firmer runs. 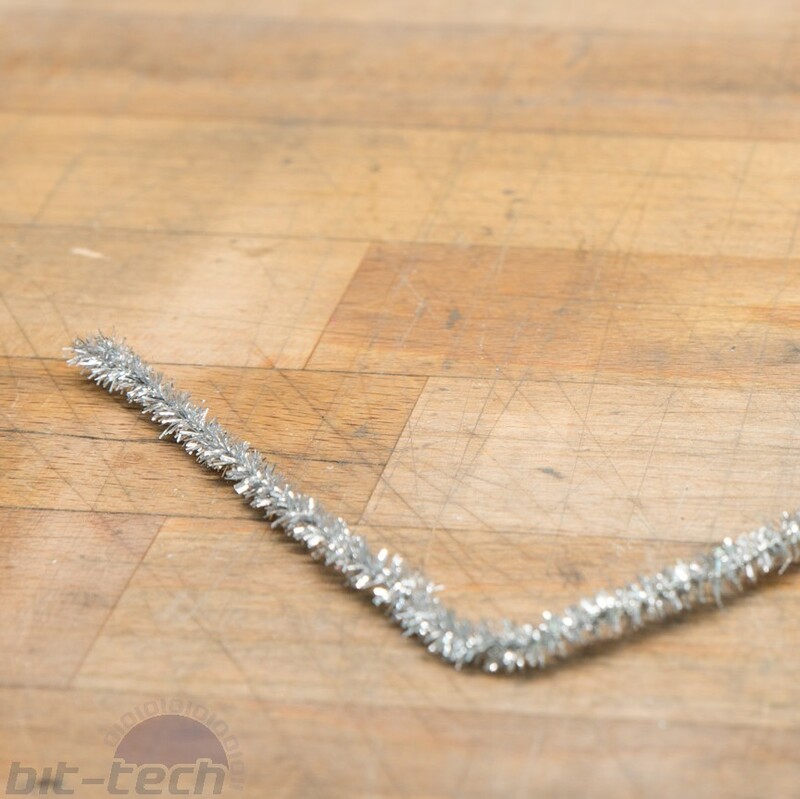 Of course, metal wires that are naturally stiff work very well for this; after all, that's essentially what a pipe cleaner is anyway. To do this, simply line them up with your ports and bend away until your heart's content. You'll end up with a fair representation of how a given run will look. That said, it's quite a low-precision method, and I wouldn't go basing all your tubing measurements off wonky wires and loopy loofahs. What they do provide, though, is a way to help you keep track of bends and directions. I have never tried this method until recently, and it genuinely made bending the tubes for a more complex run much easier, giving you a feel in 3D sapce for how a tube will look - handy, as sometimes you may need to bend a tube upside down or back to front, which can be very disorienting. 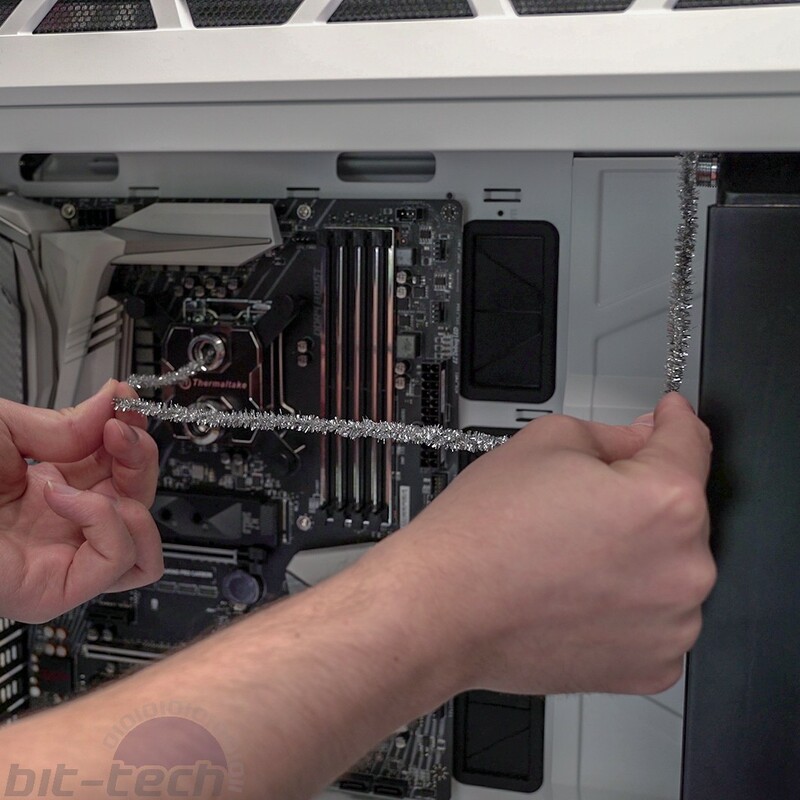 If you happen to be using one of the more advanced bending kits out there such as Alphacool's Eiskoffer, this method works particularly well for rough spacing on the supplied grid. One thing you absolutely do have to take into account is the type of fitting you're using. 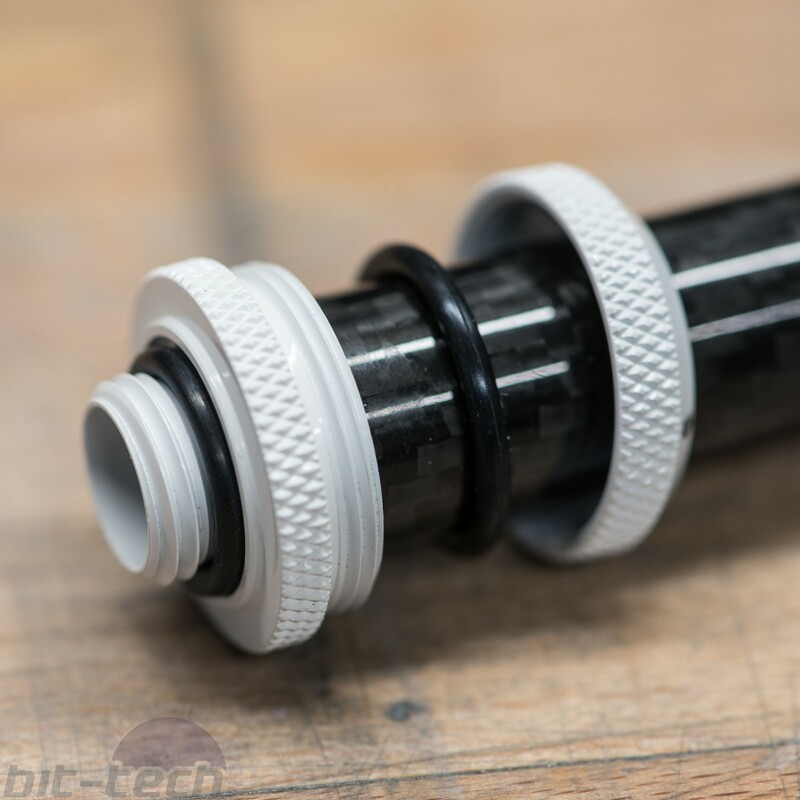 Remember that hardline fittings in the vast majority of cases clamp onto the outside of the tubing, which means a portion of the tube will sit inside the fitting. When planning, it's vital that this length of tube is taken on board, else none of your runs will fit. Different manufacturers handle this in different ways. Alphacool, for instance, supplies special end jigs for their Eiskoffer that simulate a fitting, so that you can measure the tubes directly. 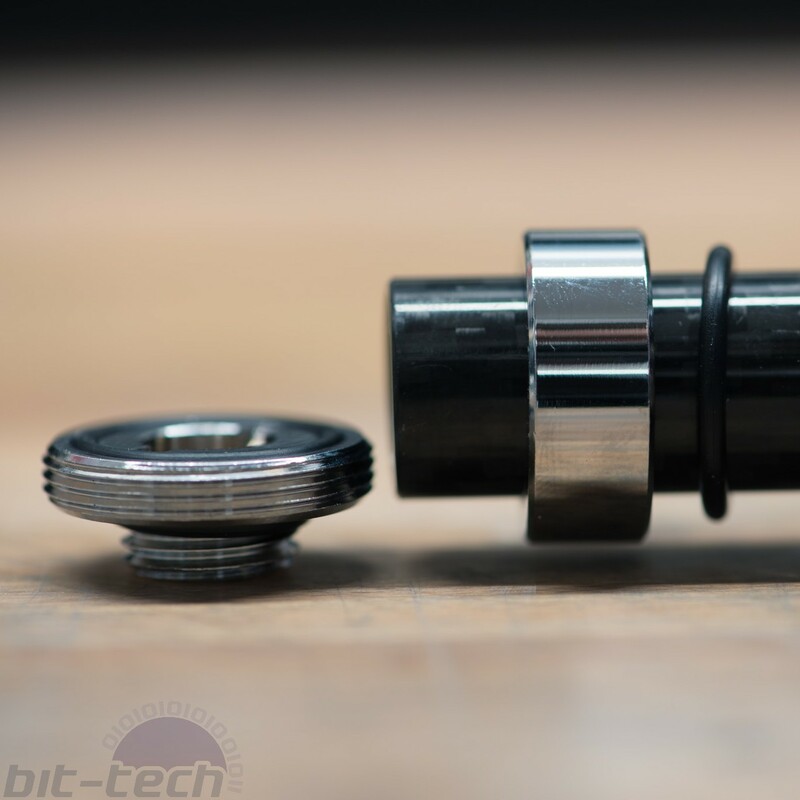 Thermaltake, on the other hand, sells a fitting that does away with the socket entirely, using a flat end and a removable collar so that you can measure easily to the base of the fitting itself.